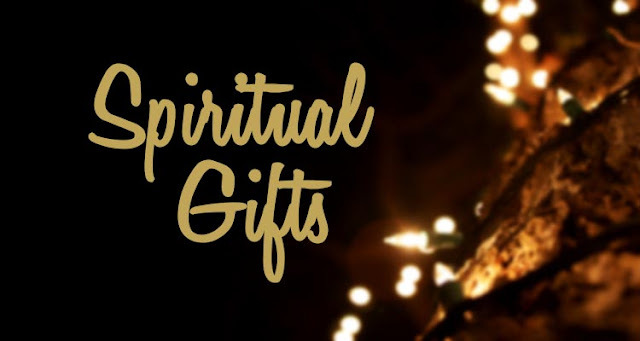 Unlike the fruit of the spirit, which is singular in nature; meaning they go hand in hand and everyone must possess them all, the spiritual gifts that God gives us are plural in nature; meaning it is a selection process by God which gift or gifts He bestows on us and a yearning from within us to desire a particular gift or gifts. The outpouring of God's Spirit molded together a spiritual body (group of believers) scripturally defined as the "church,"
And hath put all things under his feet, and gave him to be the head over all things to the church, Which is his body, the fulness of him that filleth all in all. (Ephesians 1:22-23). Supernatural manifestations of the Spirit occurred, commonly referred to as the "gifts of the Spirit." By "supernatural," it is meant that which cannot be explained or understood by human reasoning and is not restricted to "natural laws." "My thoughts are not your thoughts, neither are your ways my ways, saith the Lord. For as the heavens are higher than the earth, so are my ways higher than your ways, and my thoughts than your thoughts" (Isaiah 55:8-9). This is not to say that man cannot learn the things of God, but rather that they are not perceived by worldly wisdom. Human reasoning is unable to digest spiritual truth. Spiritual gifts are given by God to His church to profit the church and its members. " But the manifestation of the Spirit is given to every man to profit withal" (I Corinthians 12:7). There are those today who contend that the gifts are no longer necessary components of the church. But there appears nothing in the Scriptures nor in the course of history to show when any of the gifts were withdrawn. The body of man has many members (hands, fingers, eyes, ears, etc.) so also is the body of Christ. There are many members of one body and all are important. Some may be more evident than others, but all are needed. The gifts of the Spirit are not to be confused with the fruit of the Spirit. The fruit of the Spirit is spiritual grace in the character of the believer. All aspects of the fruit are to be possessed by every believer and on display at all times. 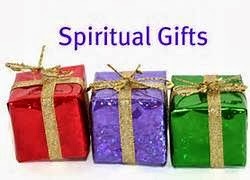 On the other hand, the gifts of the Spirit are divine abilities used in directing and blessing the church. A particular person may possess more than one gift. It is very clear that the early Christians (found in the book of the Acts and the first letter to the church at Corinth) knew the functioning of special abilities that were of supernatural origin; that is the Spirit of God. Many spoke in languages they never learned, others healed the sick though they had never studied medicine and then there were those that often had supernatural insight and wisdom. There are many questions asked about the gifts of the spirit? Ö What are these gifts of the Spirit? Ö How can you know that you have particular gifts of the Spirit? Ö Can others give us an indication of what our gift is? Ö What does the believer do with these gifts in the church? Ö Are some gifts more important than others? Ö Are the gifts of healing still being accessed today by believers? Ö Is the gift of miracles still existent in the church today? Each and every believer has been given by the Spirit of God, gifts of the Spirit. They are not gifts that they have developed by human capacities, therefore the believer has absolutely no right to brag on these gifts. If we exalt in our gifts, we are taking credit for something that we have not earned ourselves. It is like taking credit for a gift you receive on your birthday. It is just that; a gift that was not yours but given to you freely and it is given apart from any inherent capabilities that you have within you. No believer can say that they have no gift of the Spirit from God. God has given all believers gifts; some have several but everyone has at least one of these gifts. These gifts of the Spirit are given not for the believer but for the Body of Christ. It is to make the Body complete. These gifts are intended for the church to edify it, to strengthen it, to feed it, to exhort it, to encourage it and to have the Body of Christ empowered to do the work of Christ. These gifts are always to exalt Christ, to witness of God’s power, to build up the Body, and to work to enlarge the Body of Christ by sharing the gospel of Jesus Christ with the lost.